The other night, I played an LP I’ve had since 1977. Save for a little noise on the lead-in groove, the sound remains almost pristine. 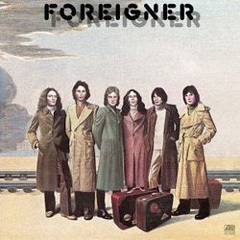 It’s “Foreigner,” that group’s debut record from that year. Yeah, maybe Foreigner became mainstream arena rockers, but that record sounded great when it hit Top 40 radio otherwise full of mush in early 1977. It sounded solid and muscular because it crashed a chart populated at the top by Hall and Oates, 10cc, Abba, Barbra Streisand, David Soul, the Atlanta Rhythm Section, Glen Campbell and Kansas. That great sound was the result of an inspired teaming: Two veteran Brits — guitarist Mick Jones (who’d played with Spooky Tooth and the Leslie West Band and had backed Peter Frampton and George Harrison) and the versatile Ian McDonald (who’d been in the first incarnation of King Crimson in the late ’60s) — with New York singer Lou Gramm. Boston seemingly had kicked open the door a year earlier, and Foreigner followed it through. In fact, Foreigner’s debut record arrived just as the enduring power — or at least the radio presence — of Boston’s debut record had peaked and was starting to fade. So tonight on The Midnight Tracker, materializing through the sweet blue haze of time, is a side with a couple of those cuts. “Long, Long Way From Home,” Woman Oh Woman,” “At War With the World,” “Fool For You Anyway” and “I Need You,” Foreigner, from “Foreigner,” 1977. This is Side 2. It runs 20:04. It’s also available digitally. What followed from Foreigner, though popular, never seemed as fresh as that first record. This is the only Foreigner record I’ve kept. There are few things more quintessentially ’70s than an album side with one song on it. One band that leaps to mind for doing so is Rare Earth. They did it three times in five years. “Get Ready” was that song twice, on the 1969 LP of the same name and on “Rare Earth In Concert,” the 1971 live LP. Both times, it was Side 2. Tonight on The Midnight Tracker, we have the third one. Critics and fans loved the record because Motown legend Norman Whitfield’s influence was all over it. He produced it and wrote or co-wrote with Barrett Strong all five of its cuts. “When (the) ‘Willie Remembers’ (LP) came out (in 1972), it didn’t get any promotion at all, and that’s when they said the only way to save a dying ship was to bring Norman Whitfield in. “Ma” produced three singles — the title track, “Hum Along And Dance” and “Big John Is My Name,” but none broke the Top 100. 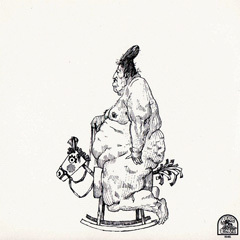 “Ma” the album-side-length title track features Rivera’s tremendous vocals and the muscular jamming we long ago came to expect from Rare Earth. But as always, you be the judge. “Ma,” Rare Earth, from “Ma,” 1973. This is Side 1. It runs 16:42. The CD is still in print, but this cut isn’t available digitally. Peter Rivera is billed on the LP under his real name, Peter Hoorelbeke.